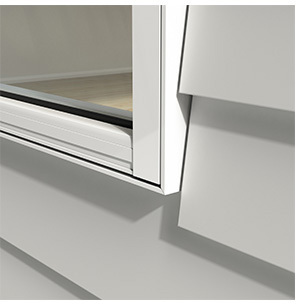 Still picture framing your windows in lightweight cladding? Take a look at the range of accessories A&L offer for a cleaner finish and easier install in lightweight constructions. Applied to the head of the window, to direct water away from the home and prevent it from finding its way behind the cladding. Maximise sealing against drafts and water penetration with our flashing package designed for lightweight applications. When applied verticallyand horizontally, flashing scrunches up. 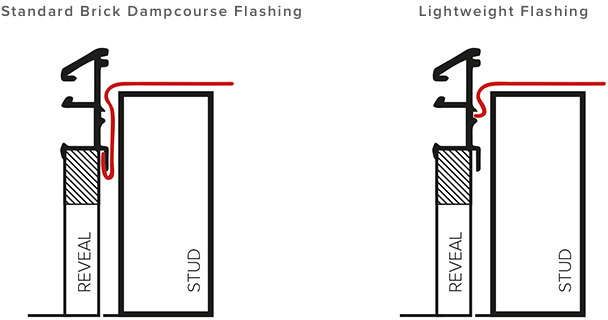 A more direct path ensures flashing sits flush against the stud. If you’d like more information on our range of accessories, get in touch to learn more.